Here’s another HOT Toy Story deal!!! 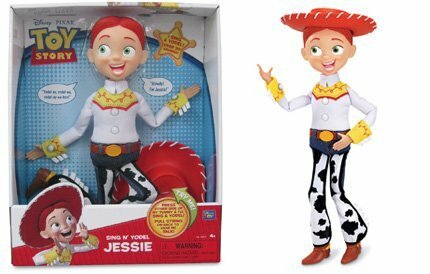 Toy Story Singing N’Yodeling Jessie is just $11.39 (was $42.99). Jessie The Yodeling Cowgirl With Pull ring in back for talking. Soft plastic hat, boots and belt. Hard plastic shirt buttons and belt buckle. « Kong Treats and Chews As Low As $2.49 Shipped!